Introducing iOS Universal Binaries - Page 6 — Welcome to the GameSalad forum! So when going from iPad portrait to iPhone 5 portrait, I would change camera to what then? @GuaveGames - Well I haven't tried it but I would guess that you'd change the camera width to 424 and camera height to 480. And then move the camera origin x to -52. And move and objects on non-scrolling layers left by 52px. The good thing about GS 0.10.1 is that you can test this very quickly in the preview as we can now preview different device screen sizes. Had a play around today with the camera it might be possible to build once and deploy to all devices after all but not 100% sure yet and the stretching on iphone 5 might be the show stopper for some, im not moving or manipulating any actors at all btw. 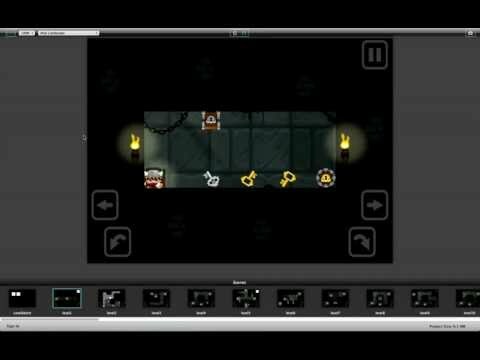 @DeepBlueApps, Darren are you going to tell us the magic settings you used in the video? 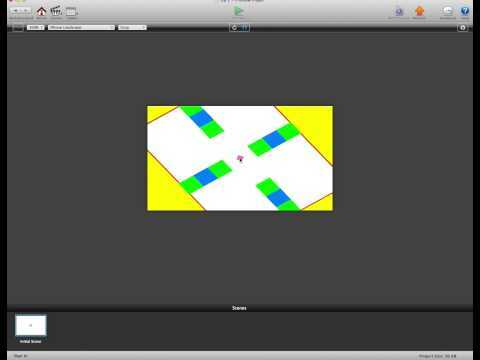 Iam about to publish a new game. So what must i do now? Puslish it with ipad or iphone? I can't really understand UB... What is the diffirence between previous Crop/Letterbox feature and UB? I have to adjust the same way all GUI and other elements in UB like in Crop/Letterbox so what is the diffirence? @DanielDoe The "only" real difference is that now you can publish on the App Store a Universal Binary app. That will allow the users to download your app once and be able to run it on all devices without having to buy two different apps. Portrait works the same way - just invert the numbers. This all seems amazing, but i have the same issue on all. nice work, now we have 3 different options properly, letterbox,crop,stretch.. just like good old cinema solutions. for the most part I'd prefer cropping, but I can see at times stretching would be a good option. why do I feel like sometimes the users are more brilliant solution provider? more reason for GS to listen to us more. Iam not sure of the numbers to use. So if we make a project with resolution independence on with graphics for retina ipad, and submit an app with this universal build option, the app will be able to run on all iPads and iPhones including the 3GS? the app will be able to run on all iPads and iPhones including the 3GS? Ok cheers @DeepBlueApps.com I will probably do the same with my project then. Your resize tool is great, by the way. Always did feel a bit 'off' that I charged my players twice just to play the same game on different devices! but then you have a pause button in that scene and hit pause, the pause screen breaks the -46 origin and resets it to 0? Is it available to Windows version of creator? @Eduard0369 Ahh ok, good to know its not just me but seems like thats going to be a huge problem for everyone trying to take advantage of these universal builds.